Abraham Cupeiro is a skillfull instrument builder and multi-instrumentalist, mostly known for bringing back instruments lost long ago. He enjoys playing on them to create new sonorities, using them in pieces far from their natural repertoire. 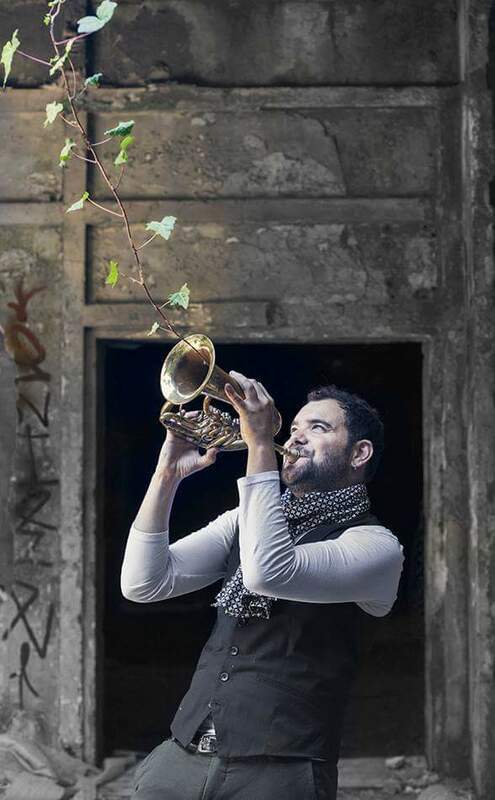 Cupeiro graduated from the Real Conservatorio Superior de Madrid as trumpet player and went on his stuidies in Barcelona, completing a master´s degree in Interpretation of Early Music. Despite his training as a classical music interpreter, he has always being attracted by music of any kind. Therefore, he started at an early age to join a number of folk and jazz bands, and several early music ensembles. Cupeiro stands out as one of the few people in the world who play the Karnyx (celtic trumpet from the Iron age) and was recently invited to play on the Karnyx from Tintinac, the only one found in one piece in 2004. Abraham acts also as ambassador for an ancestral Galician instrument named “corna” (cow horn). His own grandfather used to play on this traditional instrument whose track can be traced as early as in the illustrations on Alfonso X of Castilla´s books. A genuine passion for instruments and organology led him to put together a collection with over 200 pieces from afar and from different times. Under the name “Ringing in the past”, Cupeiro presents them in a monologue-concert of his own design. Abraham keeps finding and building instruments and playing every sort of music on them, enjoying their blend within nowadays ensembles. A few of these experiments can be found in Compromiscuo, a CD released with Belorussian accordionist Vadzim Yukhnevich. An important role for the Karnyx is also to be heard in Concierto Misterio, by Wladimir Rosinsky. The work was premiered by the Galician Symphony Orchestra and the karnyx part was tailored written to bring out Cupeiro’s especial skills on the instrument.